Is it just me or have full, plump lips taken over your Instagram too? Is it just me or have full, plump lips taken over your Instagram too? I knowÂ a plumped pout has always been desirableâlip injections have been a thing for years, of course. But it seems Kylie Jenner gave it a surge in popularity with her full-onÂ lip transformation. First off, I have to admit I'm not a big fan of lip gloss, generally. I've never liked the way it latches on to hair (forget it on a windy day). That being said, this gloss went on really smooth and has a delicious vanilla scent that will make you want to gobble it right up. The formula contains hyaluronic spheres supposed to infuse lips with moisture and vitamin A and E to keep lips supple and protected. The tingling feeling starts immediately after you swipe it on and comes from the menthol derivative, menthone glycerin acetal, which is the ingredient used to plump the lips. I really loved the tingling; it made my lips feel cool (literally!) and even gave my mouth a fresh, minty feeling. But as for the real question: did they make my lips fuller? 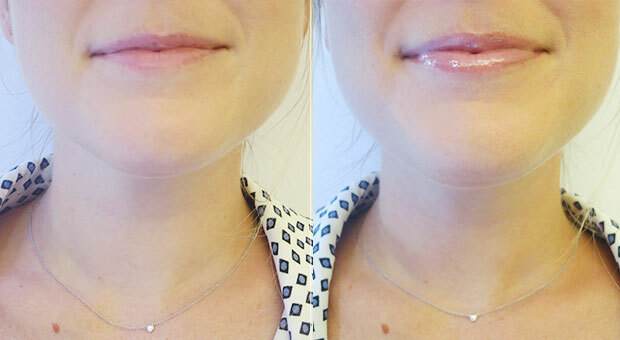 Well, any sort of gloss is going to make your lips appear fuller because it catches light and adds depth. Beyond that I don't think this product did more than any other gloss would. Bottom line: If you're looking for a miracle product for getting bigger lips, this won't be it. But if you're looking for a good gloss that's minty fresh, this one's got you covered.